For decades, faith-based adoption and foster care organizations have played a critical role in providing services to children in need. They have excelled in this and serviced the neediest of these already needy children. As reported by the U.S. Conference of Catholic Bishops (USCCB), 45 percent of the 3,794 adoptions completed by Catholic Charities in 2009 were of children considered to have special needs. Also in 2009, 32 percent of the 1,716 adoptions completed by Bethany Christian Services were of hard-to-place older children previously in foster care. It is imperative for these children that all agencies, both faith-based and secular, remain in the adoption and foster care system. Without them, many children would have no place to turn. Today, 440,000 children are in foster care, and 100,000 of those are awaiting adoption. The opioid crisis is only adding to these numbers. In 2016, 92,000 children alone were in foster care because of drug abuse in the home. In fact, drug abuse is the number one reason why children are placed in foster care. With so many children desperate for stable homes, it would seem obvious to provide every avenue possible for that to happen. However, there is a growing movement to remove faith-based adoption agencies from the equation. Due to their deeply held religious beliefs, many faith-based adoption agencies seek to place children in homes with a married mother and father. Recently, in the scramble to embrace “LGBT equality,” lawsuits were filed in Michigan and Texas, challenging each state’s laws protecting faith-based adoption agencies. In Washington, D.C., Massachusetts, and California, similar lawsuits succeeded, resulting in the shutdown of several Catholic adoption organizations. In Illinois, approximately 2,000 children were displaced as a result of one of these lawsuits despite that fact that every state allows LGBT adoption and has numerous agencies willing to facilitate these adoptions. 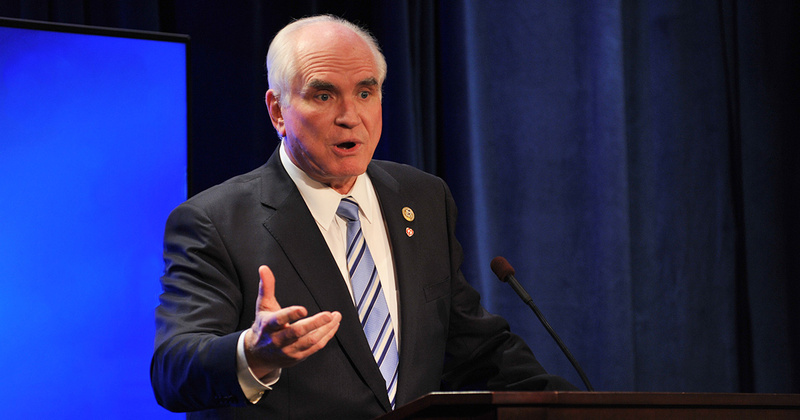 Such threats to the well-being of children prompted Representative Mike Kelly (R-Penn.) to introduce The Child Welfare Provider Inclusion Act (H.R. 1881) in the House of Representatives and Senator Mike Enzi (R-Wyo.) to introduce it in the Senate (S. 811). This bill protects faith-based adoption agencies from discrimination by letting them continue their work of placing children in adoption and foster families while remaining loyal to their deeply held religious beliefs and does nothing to prevent LGBT adoptions. The bill simply seeks to keep faith-based agencies in the business of helping children, free of government discrimination. Those fighting to remove faith-based agencies from the table have a specific agenda in mind, an agenda that seeks to silence those with whom they disagree while trampling on the best interests of children. The fight to protect faith-based adoption agencies is about ensuring families have a wide range of options to select an agency that meets their physical, emotional, financial, and spiritual needs. It’s about ensuring that some of the most overlooked members of our society will no longer be forgotten. All service providers, religious or secular, who work to provide children with loving families should have a seat at the table and never be disqualified from doing so because of their deeply-rooted religious beliefs. The more groups providing these crucial services, the better. How ironic that leftists want to exclude faith-based agencies from placing children in loving homes while rabidly defending federal funding for Planned Parenthood, a group that only provides one adoption referral for every 82 abortions. Our goal should be to place children in loving homes. Any agency that provides this service should be allowed a seat at the table. To learn more about the Child Welfare Provider Inclusion Act, please watch this FRC Speaker Series event. And then, contact your U.S. Representative and both U.S. Senators and ask them to support this bill.